Despite being nullified for most of the match Zlatan Ibrahimovic stood tall when it mattered heading the winning goal against Chicago Fire. 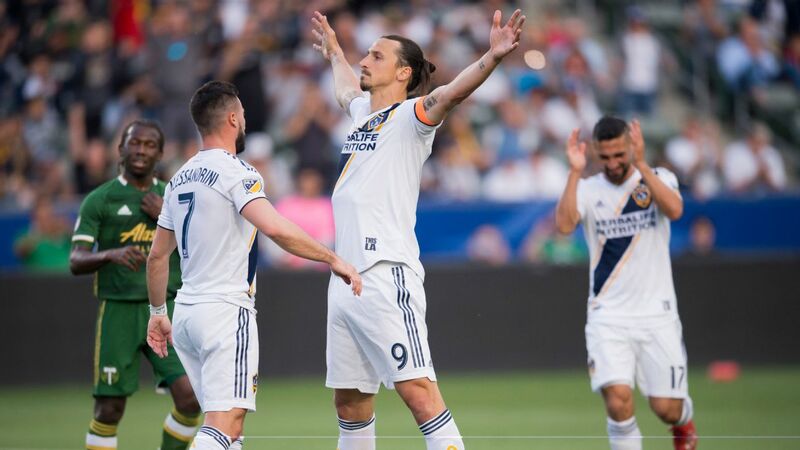 Following his superb debut MLS appearance from the subs bench, Efrain Alvarez was given high praise by his captain Zlatan Ibrahimovic. 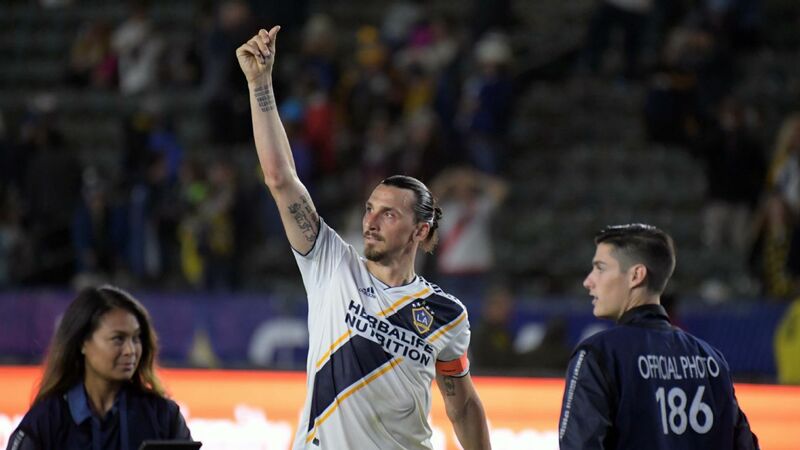 The LA Galaxy will be without Zlatan Ibrahimovic on Saturday for their match against FC Dallas in Frisco, Texas. 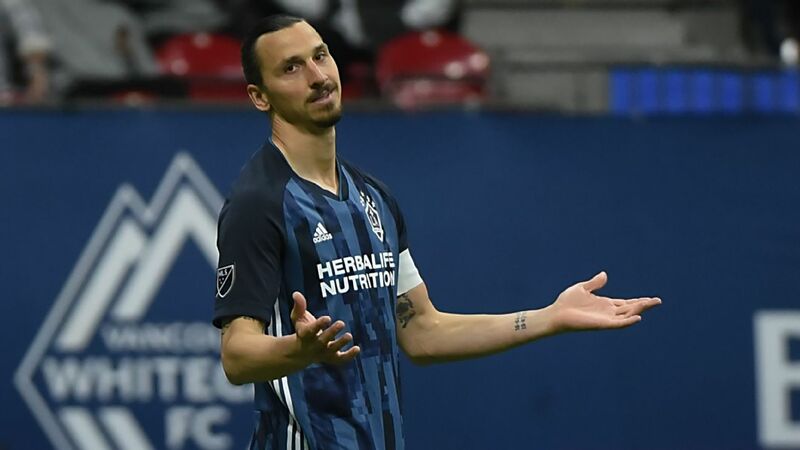 Ibrahimovic, 37, scored the winner for the Galaxy in a 2-1 home victory over the Chicago Fire last week, but the striker missed Wednesday and Thursday training because of an Achilles issue and did not travel to Dallas for the team's second match of the season. 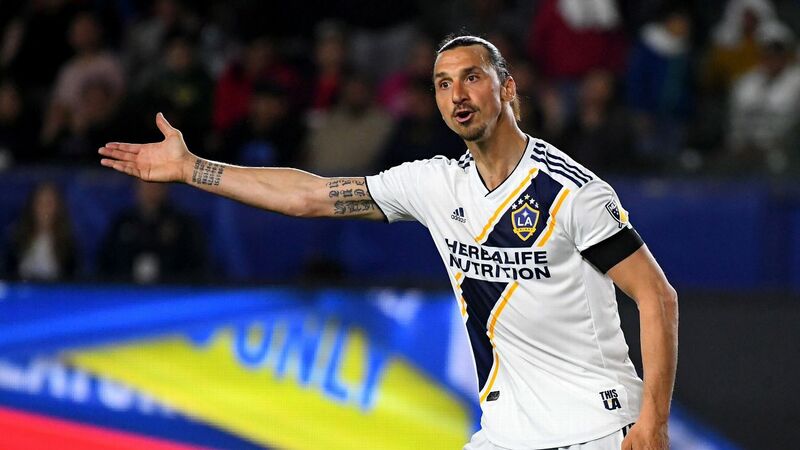 "I'm worried because [Ibrahimovic didn't practice] yesterday or today," Galaxy head coach Guillermo Barros Schelotto told reporters after Thursday's training session at Dignity Health Sports Park. "Yesterday it was very dangerous, for the rain, and the field was underwater. I'm worried because he couldn't train today. The Galaxy will also be without Romain Alessandrini for the match after he left the pitch 20 minutes into the game against the Fire with a hamstring injury. However, new arrival Joe Corona could make his debut for the team after joining from Liga MX club Tijuana on March 6. "It's possible, yeah," Schelotto said. "Because he was training and playing with Tijuana, he will be ready to play. I want to talk something about all of us, how we play, and we talk about the tactics, and he can understand. Maybe he can play." FC Dallas scored in the 13th minute but had to settle for a 1-1 draw in its season opener at home against New England last Saturday in the MLS coaching debut of Luchi Gonzalez. Michael Barrios had Dallas' only goal in the match. Gonzalez is the first to say his team is nowhere near a finished product and admits he's learning on the job from practice to practice and from match to match. Galaxy star Zlatan Ibrahimovic will miss the Dallas match through injury. "The beauty of this team right now for us is that you can make rotations and guys are going to be ready to step it up," Gonzalez told reporters. "We'll take it one day at a time and make the right decisions based on what we're seeing here in the training. "So how can we grow, take development steps, at the same time compete and get points," Gonzalez continued. "I'm discovering that balance as we speak, and it's a great experience. It's going take time to get it exactly where we want." Schelotto, like Gonzalez, made his MLS head coaching debut in Week 1 and came away pleased by his squad's overall performance. 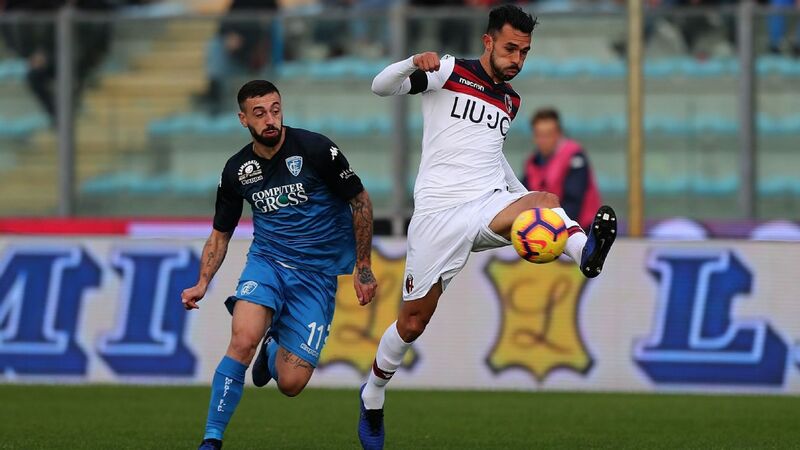 "We did what I like and what we are working towards -- creating the plays, building on the attack, creating chances on goal," Schelotto said to the media. "In other parts of the game that was not the case. Maybe we didn't have the same level of play and intensity for the full 90 minutes but we did on many occasions." FC Dallas won both the matches between the two sides last season and is 20-9-7 against the Galaxy at home all time.